I was stung, rubbed lamb’s quarters on the affected spot, and felt no rash. Three days later feeling even more bold, I entered a stand of nettle and cut and grabbed nettle stems with wild abandon. By the time I got two bag fulls to the car, the rashes were forming on my arms. I rubbed the rashes in lamb’s quarters and the pain stopped immediately. The rash itself was gone within a few hours. Since lamb’s quarters is seasonal here and nettle is available to us throughout the year at different elevations, every season or so I make a lamb’s quarter extract for my future nettle harvest simply by putting chopped up lamb’s quarters leaves in a high-alcohol vodka or bourbon for a couple of months and then straining out the leaves and using the liquid on my nettle rashes. The extract works well but as I have experimented with it I have an interesting nugget to report: It works best on stings from the nettle variety that grows at lower elevations here — the nettle that grows alongside lamb’s quarters. We don’t have lamb’s quarters at higher elevations but we do have nettle, and another variety of it at that. The extract helps the sting from the higher-elevation nettle but the remedy is not quite as complete as it is with our lower elevation nettle. Your mileage may vary, then, based on your own nettle variety. 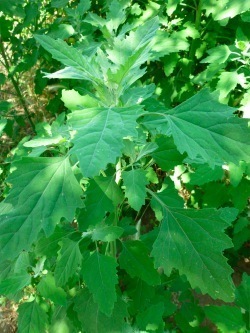 For information on identifying lamb’s quarters, check out this resource by Wild Man Steve Brill. 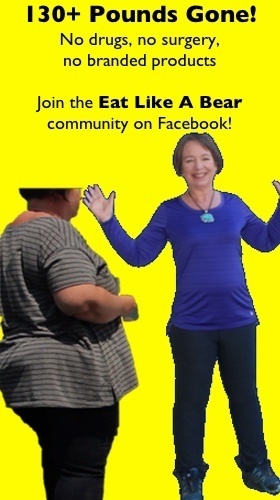 5 Comments on "Combat the sting of nettle leaf with another wild weed"
Thanking for sharing these wonderful tips. A very interesting post. Hi Amanda.Thanks for such an interesting post .Was not aware that such a natural remedy can treat nettle leaf rash so well. Moreover making a lamb’s quarter extract is quite thoughtful . Nice post. Wow! Glad this worked for you. very informative indeed! thanks for this post. 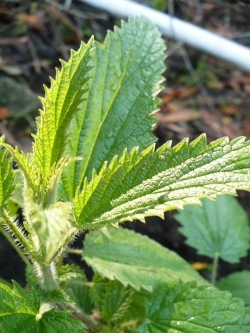 Nettles have their own cure as well!! Just chew up the leaves and smear it on the stinging spot. In a few minutes the sting is gone! I’ve demonstrated it on my friends many times, it works every time. If your tongue doesn’t get stung in the process, all is well. LOL. Do you cook them before chewing the leaves?